Falti Devi was in agony. She was in constant pain for 6 weeks & had to endure a 102F high fever. This 65-year-old villager from Bilaspur in UP needed help. Poor and old she did not know what to do. What If we told you that all she needed was a tooth extraction! In this case just INR 350 made her smile again. THAT’S WHERE DRISHTI FOUNDATION MAKES A DIFFERENCE WE BRING SMILES TO MANY ELDERLY PEOPLE LIKE FALTI DEVI & TAKE CARE OF THEIR DENTAL NEEDS. Pic: Our dental treatment makes people smile at the end of the day. We are an NGO based out of Ahmedabad, Gujarat & have started a project called "DrishtiKon”. We provide dental care to the poor and the rural masses across different states across India. Our focus is on the elderly poor. Our award winning dental surgeons are experienced, well to do & have decided to give back to society. We use the free time we have on our weekends head to villages, set up a camp, do a free clinic and treat patients. Each doctor attends to 30-40 patients in a day. We need your help to make a bigger difference to these poor villagers. We are running this crowdfunding campaign to raise INR 2L to do a FREE DENTAL CAMP with the poor and elderly in JHARSA and BADSHAHPUR villages in Gurgaon district. Approximately 300 patients will be identified and will get treated for FREE at our Gurgaon clinic. It will cost us approximately INR 600 per patient. Including the cost of crowdfunding we need to raise INR 2L. NOTE: The cost per patient will vary depending on the type of treatment. AN AMAZING FACT: WE DO ROOT CANAL TREATMENTS WHICH COST INR 5OOO TO 10000 IN CITIES FOR AN AVERAGE OF JUST INR 600. Most of the dental diseases are the sequel of neglect in the early years of life, for example, consumption of a carcinogenic diet, lack of awareness regarding preventive aspects, and habits like smoking and/or tobacco, pan, and betel nut chewing. 40% of India’s elderly live under the poverty line and have no access to basic dental hygiene or care. Our goal is to ensure that we setup a sound and friendly environment for the helpless and destitute towards achieving promising dental conditions. This in turn will help fostering their physical, mental, social development and well-being as well. 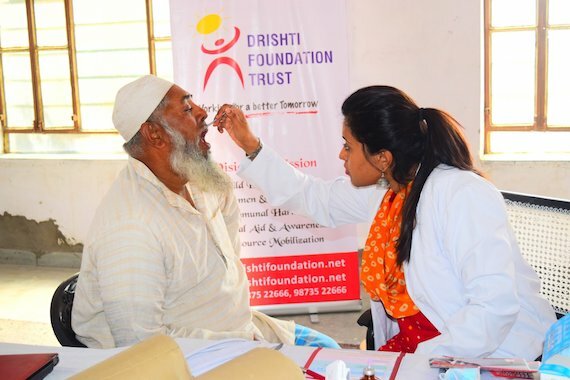 The Drishtikon Charitable Dental unit comprises of highly skilled dentists and support staff led by the reputed and award winning dental expert Dr. Ankita Chandra, who along with her team is dedicated to serving senior citizens and those with special needs. We also provide Mobile Dental Care for the homebound senior citizens. We offer comprehensive dental treatment ranging from Dental cleanings/Scaling to treatment and referral and follow ups of Oral Cancer patients. 1. 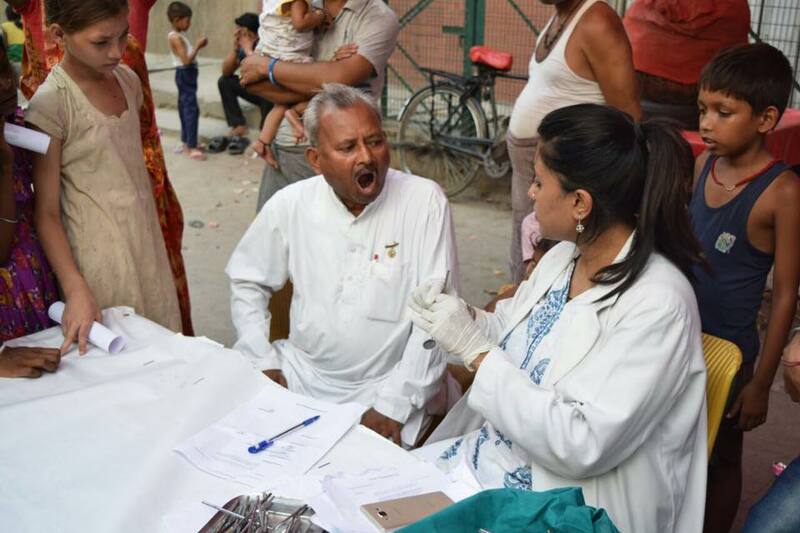 Mr.Bansi Bairwa,(President,Prayas Santha,VPO-Harsoli,Tehsil-Dudu,Distt-Jaipur,Rajasthan) -The Dental Camp organised by Drishti Foundation Trust in our village brought in a massive improvement in Oral and Dental Health of specially the Senior Citizens of our village. Due to the awareness on oral cancer some of them even quitted smoking &apos;Bidi&apos; and chewing tobacco. As a result of the camp the villagers are showing increased awareness for brushing their teeth. 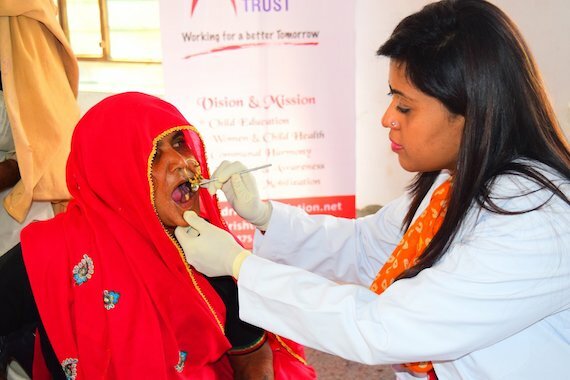 We are obliged to the Dentists of the Drishti Foundation Trust for holding a camp in our remote village of Rajasthan. Ankita was born in Kolkata and grew up reading the ideologies of Swami Vivekananda and Mother Teresa. This is perhaps what first instilled the sense of service in her. Her father’s transferable job took her to many small towns and villages in India. She went to school in Jharkhand and graduated from the Dr. R. Ahmed Dental College and Hospital in Kolkata. Though India didn’t have a course in geriatric dentistry at the time, Ankita started teaching herself by reading various books. 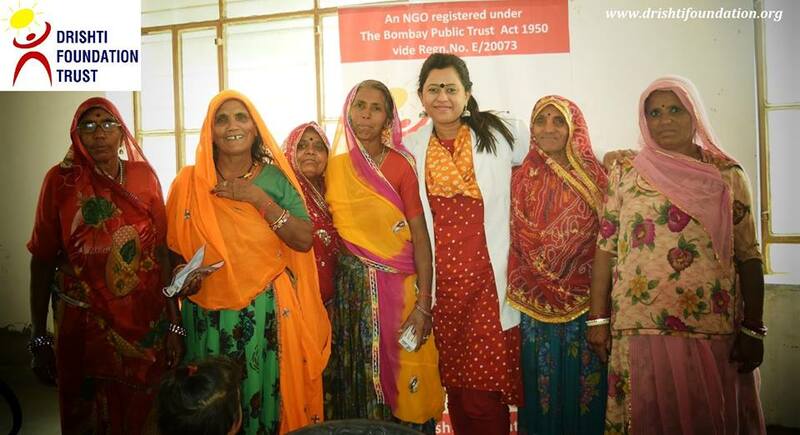 She was inspired to improve the geriatric medical and oral health in the country. In 2014, she teamed up with Dinesh Gautam, founder of the Drishti Foundation Trust and became a crucial pillar of the DrishtiKon project. Her motto is &apos;Muskurayega India tab hi toh badega India&apos;, she said in a speech. 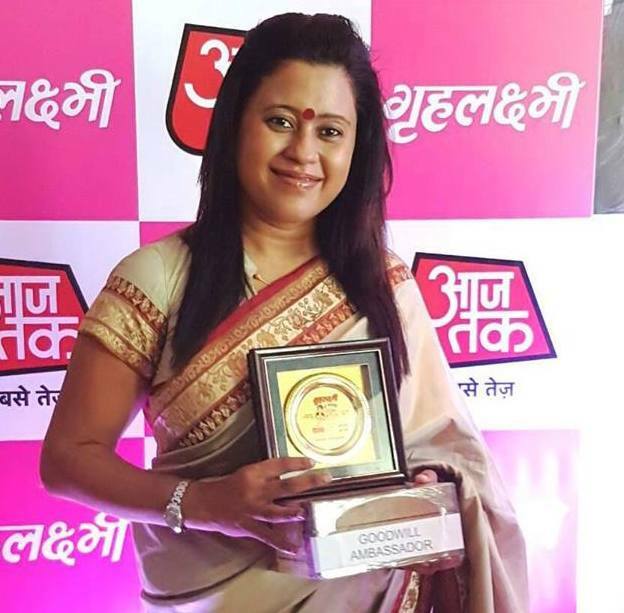 She has gained recognition from numerous accolades such as the recent &apos;Sushuruta Award 2016&apos; presented by the Indian Dental Association and was appointed Goodwill Ambassador in 2016 by Gruhlukshmi. It costs on an average INR 600*, per elderly person. Dentures: Ranges from Rs.50/- per tooth to Rs.2500/- for complete denture. Screening for Oral Cancer: Rs.100 to Rs.250/- per screening. 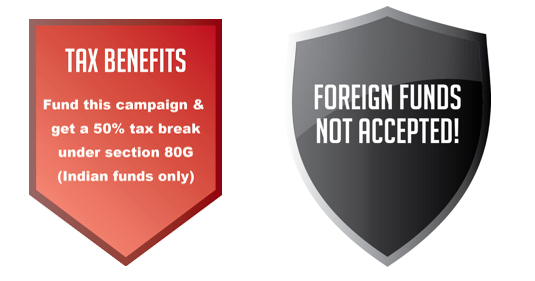 *The INR 2L goal of the campaign also includes the crowdfunding charges & gateway charges. 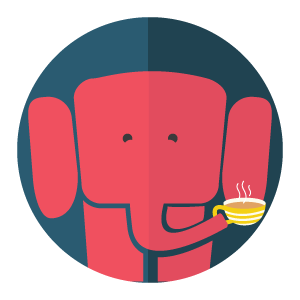 The total crowdfunding charges including gateway fees amount to 10.3% approximately. Thank you for your contribution. You shall receive an Facebook shoutout on the Drishti Foundation Trust's page. Thank you for your contribution. You shall receive a Thak you email from Drishti Foundation Trust. Thank you for your contribution. You shall receive an Facebook shoutout on the Drishti Foundation Trust's page and a thank you email. Thank you for your contribution. You shall receive an Facebook shoutout on the Drishti Foundation Trust's page and a thank you call from Dinesh. Thank you for your contribution. You shall receive an Facebook shoutout on the Drishti Foundation Trust's page and a chance to video chat with Dinesh.